ESCO will be exhibiting at Latin Tyre Expo from June 14th – 16th, Booth G348. Come join us to see all of the new and exciting products available through ESCO today! 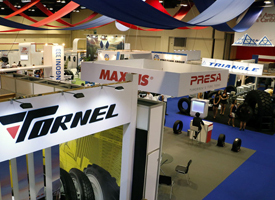 2017 marks the 8th Edition of the Latin American & Caribbean Tyre Expo which has grown beyond our expectations every year! The expo provides exhibitors with direct access to the Latin American and Caribbean tire dealers in a personal setting that forges long lasting commercial and personal relationships. 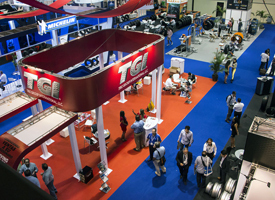 Latin Tyre Expo has become the premier tire and related products show in all of Latin America and the Caribbean. The 2016 Expo was visited by over 3,000 tire dealers from over 70 countries and counted on more than 200 exhibitors from all over the world. 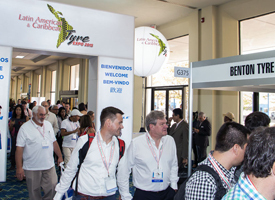 U.S. exhibitors will have the opportunity to connect directly with tire dealers in Central and South America and the Caribbean. Click Here to Register to Attend Latin Tire Expo Today!